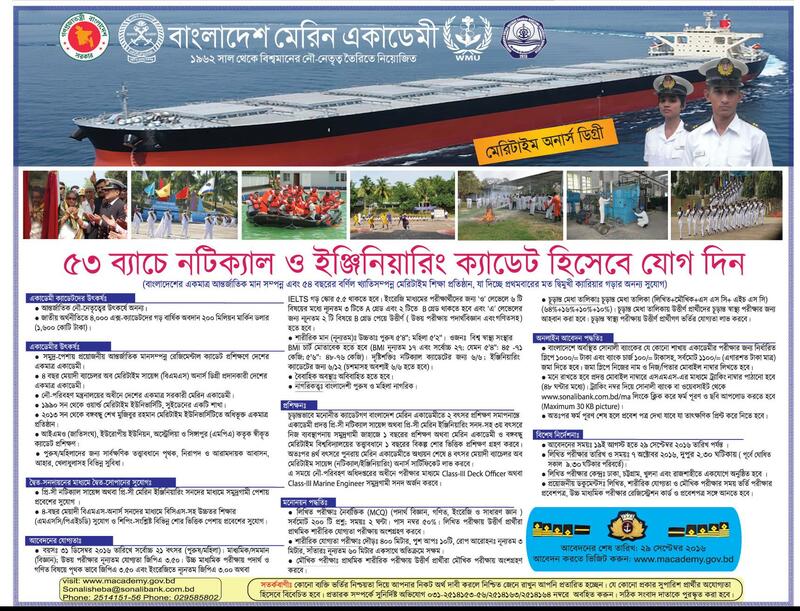 Recently Bangladesh Marine Academy Job Circular published by Daily Newspaper Prothom-alo. You can Find all type of Marine Academy Job Information from our site. This entry was posted in BD Govt Jobs 2019, jobs Newspaper, Prothom alo jobs and tagged Defense Jobs by ejobscircular. Bookmark the permalink.